Mazes, Scares, Screams, Shows and more.... Universal Studios Hollywood's Halloween Horror Nights updates!! 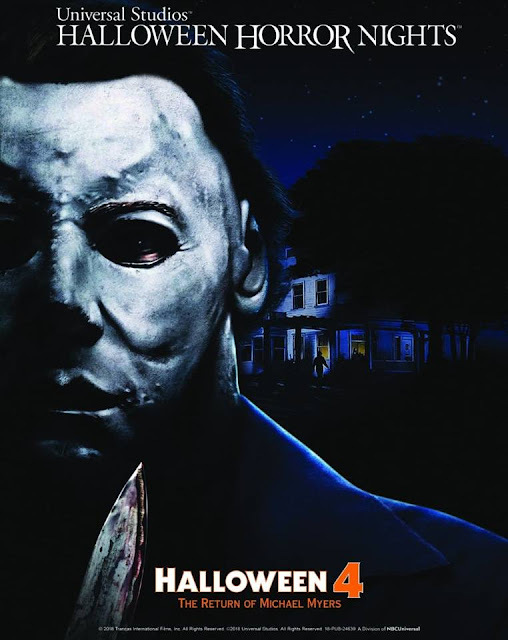 "Beginning on Friday, September 14, Halloween 4: The Return of Michael Myers, from Trancas International Films, takes a stab at Universal Studios’ Halloween Horror Nights, bringing the notorious slasher to Universal Studios Hollywood and Universal Orlando Resort in all-new mazes inspired by the iconic horror film." Okay you guys I am not even sure how I would handle all the fear in me but I am pretty sure I would laugh cry all the way through it. I am known to push others in front of me out of reaction to being scared... I'm easily freaked out!! What is your favorite maze at HHN!?!? Tell me what I can't miss... I'll get there one haunt season!